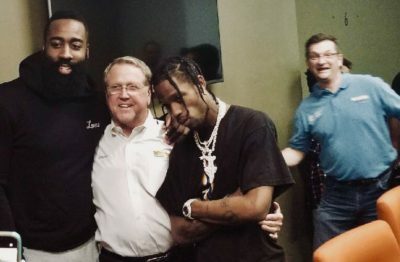 Earlier today, rapper Travis Scott, a Missouri City (Houston suburb) native, received the key to the city from Mayor Allen Owen. The presentation, itself, was part of the annual Black History Month Celebration of Culture and Music. Earlier this week, Scott and Kylie Jenner announced the birth of their first daughter, Stormi. Now, a key to your city. I guess something positive can come from dating a kardashian/Jenner.